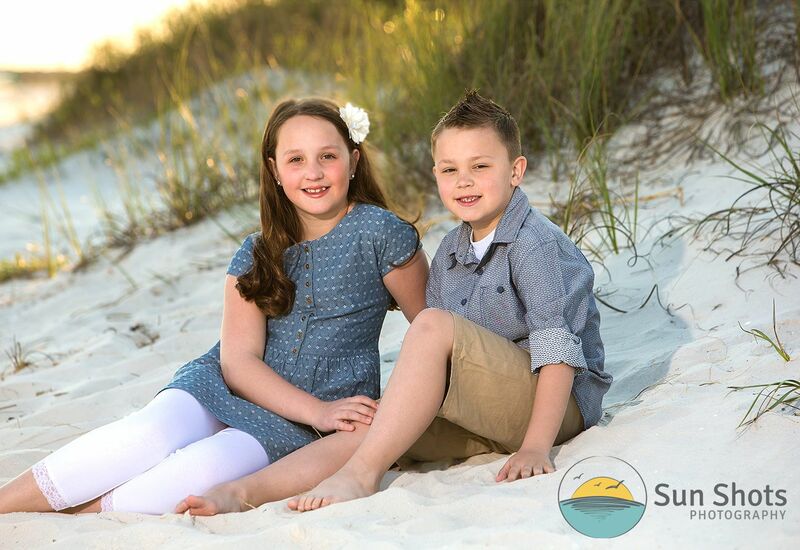 One of our favorite Gulf Shores photography sessions is older siblings on the beautiful beaches. At this age, life is all about happy carefree living and vacation time really brings everyone smiles. Our group from last night's session was no different, except these guys had one extra thing to smile about, the day they left for vacation it snowed back home. Nothing like telling all their friends the white stuff they are playing in at the beach was actually warm. With a semi tropical climate, the spring weather has already blossomed into full beach weather. With warm air at their heals, these two had a great time on the beach and it really showed in the photography. See that is what we are all about. If you allow kids to have a good time at a photography session, their smiles are not forced. For years we have practiced the rule of "FUN". With "FUN", everything else falls into place. I can just remember my own photographers as a kid while growing up that were so weird by making us sit a certain way, look a certain way, and thought that by forcing a child to say "CHEESE", somehow by a miracle, a natural looking portrait would occur. Well we all know, it just doesn't happen that way. Our secret is fun, fun, fun. If the kids are happy, momma is happy, and if momma is happy, EVERYONE is happy. A special thanks to our wonderful family from last night for being happy, and having a great time at your family portrait session. We are so glad you called us while on your vacation in Gulf Shores and can't wait for you to see the rest of your stunning beach photography. If your family is planning a vacation in Gulf Shores this spring or summer, give us a call and discover a little "FUN". We are an experienced husband and wife team that would be honored to share our art with your family. With very limited availability, we do urge you to call today at (251) 968-2119 and book your very own Gulf Shores photography session with us! See you on the beach really soon!